This light, hydrating 4% niacinamide formulation contains antioxidants and provides exceptional calming benefits to oily and breakout-prone skin. This advanced hydrator also includes vitamin A, marigold, butcher's broom and cucumber extracts, and promotes a bright, clear complexion. Best suited for oily and/or problematic skin. Promotes a bright, clear complexion. Morning and night, smooth a nickel-sized amount onto skin after cleansing, toning and applying any PCA SKIN treatment serums. 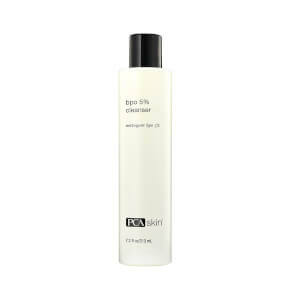 During the day, follow with the appropriate PCA SKIN broad spectrum SPF product. Water/Aqua/Eau, Cyclopentasiloxane, Ethylhexyl Isononanoate, Niacinamide, Hydroxyethyl Acrylate/Sodium Acryloyldimethyl Taurate Copolymer, Butylene Glycol, Phenoxyethanol, Bisabolol, Disodium EDTA, Citric Acid, Sodium Hydroxide, Iodopropynyl Butylcarbamate, Sclerotium Gum, Retinyl Palmitate, Borago Officinalis Seed Oil, Cucumis Sativus (Cucumber) Fruit Extract, Cymbopogon Schoenanthus Extract, Ruscus Aculeatus Root Extract, Wheat Amino Acids, Calendula Officinalis Flower Oil. When I had an issue with acne when I deployed to Iraq due to all the dust...this was a skin saver for me...To the poster below, this is an acne clearing moisturizer...it is topical and you just use it like an other moisturizer after your cleansing and toner routine (I use Clearskin for Sensitive Skin toner...cheap and VERY good). I was a manager of a medical spa and we sold Clearskin there so I know 100% that it is a moisturizer that you apply to your face and leave on. Make sure to use sunscreen though as it has none. 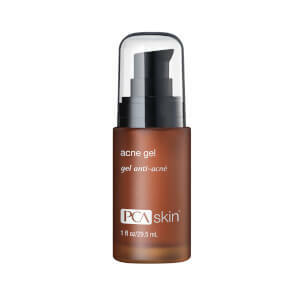 For very bad acne, PCA has a cleanser that is good but harsh called PCA SKIN BPO 5% Cleanser. Hope that helps. Miracle in a Jar !!! I have had active acne for over 4 decades! I used to be clear about 2 weeks out of a year. I tried Accutaine, Proactive, Tetracycline, Dr. Hauseka, EVERYTHING. I had given up all hope and resigned myself that I'd be in my casket with acne.Then my facialist asked me what was going on with my face...it was dry and flaky from the Proactiv. She handed me a jar of Clearskin and said, "buy this." I did. I didn't even use if for 2 weeks, then I did. OMG.I have not had acne since. Sure every once in awhile I get one zit, but it goes away quickly. This happens maybe once a month. You have to put the Clearskin on with the sponge and water and let it dry on your face for 2 minutes and rinse off. I've kept my fingers off of my face during the day too. Now I am happy and people rave about my smooth skin..."porcelain" is what they say! IT IS THE BEST STUFF EVER!! I have normally oily acne prone skin which is now in flux because of all the acids, retinoids I am using which as made it dry, sensitive, and still oily in certain parts. So I need a moisturizer that will not break me out or grease me up or leave my skin parched. This is the 2nd time I have purchased the product and it is my go to for soothing moisture. I do have to layer it on though since it is not made for dry skin. A definite repurchase and comes at a solid if not cheap price. It took about a week to notice the difference and you have to be consistent using it but I love what it does for my skin. I am very oily and never believed in moisturing oily skin but after deciding not skip that step, my skin cleared up dramatically and this product is part of that regimen. I can only use it at night though and I would not dream of using it in the day unless I had very dry skin. I wake up with soft smooth clear skin every day now. I have suffered from pretty severe nodular acne since I was 16. Though ALA treatments significantly helped my acne problem I longed for perfectly clear skin. PCA has done the trick! I use clearskin with PCA's oily skin facewash, exfoliator, and gentle toner and they keep my skin looking great. I first tried clearskin while using Murad's facewash and spot treatment and I don't think it worked as effectively until I purchased the whole PCA line. (I have found this is true of almost all skin products- they work best when you use the whole line instead of piecing things together...) I have to keep a supply as well- the minute I stop my regimen I'll get a little pimple or three. I have very oily skin and when I apply it at the begining is fine but after 1 hour I have a lot of oil on my forehead. I have been using it during the day and I didnt wear make up or SPF cream .So just by itself is not working for my oily skin prone to breakouts. 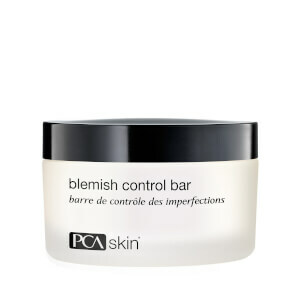 Finally, I have found a product that reduces AND prevents blemishes while not causing dry, flaky, irritated skin. Works better than any topical acne medication I have ever used (retin-A, differin) and keeps skin moisturized. I have tried many, many products and this is one of the few I would highly recommend. I really love this product. I have oily sensitive skin that is prone to breakout. I use clearskin at night and this cream not only moisturizes without any oily residue, but also helps reduce and prevent further breakouts. I've been using it for about one year and will continue to use it! I have slightly oily skin that can break out if I use heavy moisturizer. I have been using this product for 3 months and am extremely happy with it. Very lightweight and doesnt clog pores at all. Also the price is great. Oh and best of all it lives up to its purpose and provides great hydration. You must try!